The designers of LDI have significant experience designing lighting solutions for historic and heritage buildings and spaces. 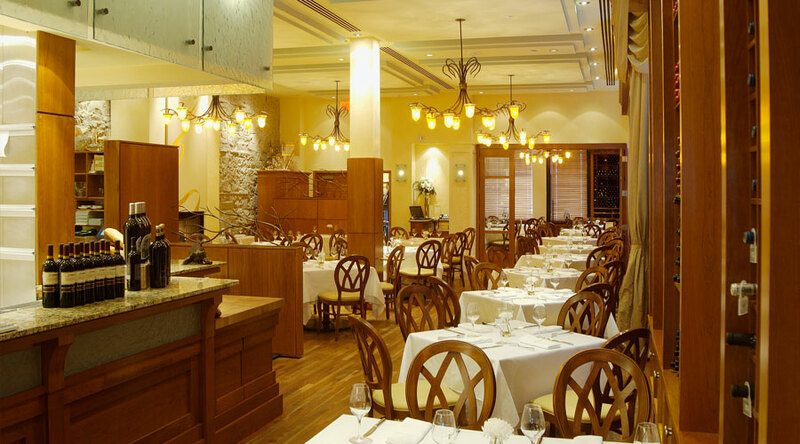 It is this experience that was tapped when LDI worked with the Owner and Executive Chef of Catch Restaurant. Housed in the historic Imperial Bank of Canada Building, circa 1886, the adaptive reuse of the building created multiple environments for dining, entertainment, and gatherings. 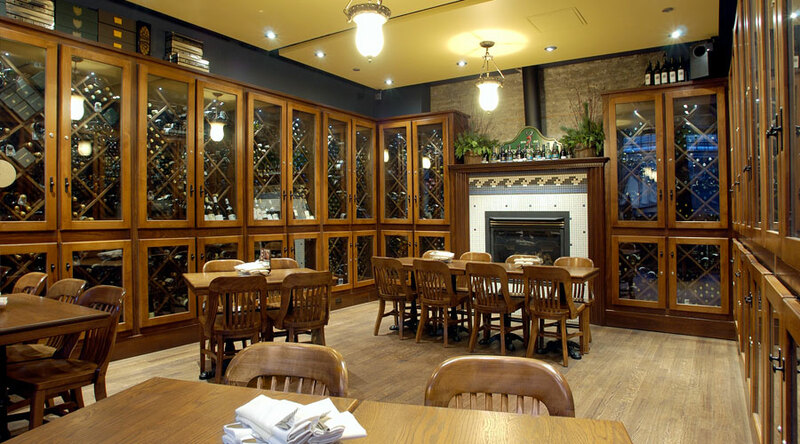 Located in the City of Calgary downtown core, the lighting design differentiated the atmosphere of distinct dining settings, accomplished intimate and effective lighting solutions, and met stringent mounting restrictions for the original sandstone and brick construction. 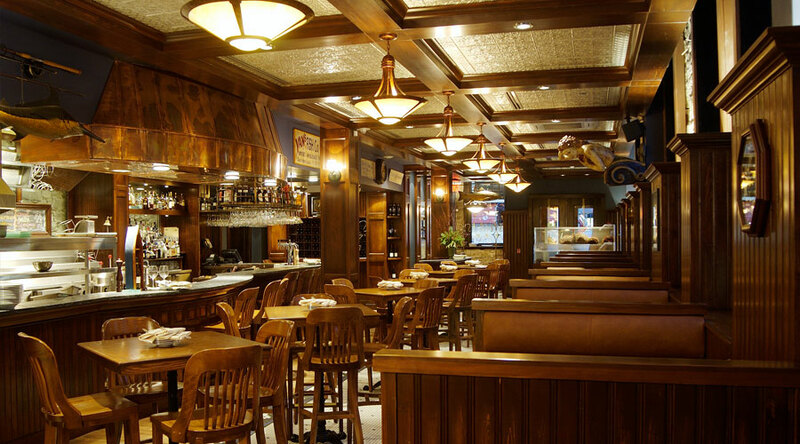 The lighting design solutions found by our team utilized custom fixtures and standard products combined to provide lighting solutions that met the requirements of the cooking and wait staff, and the dining appreciation of the patrons. 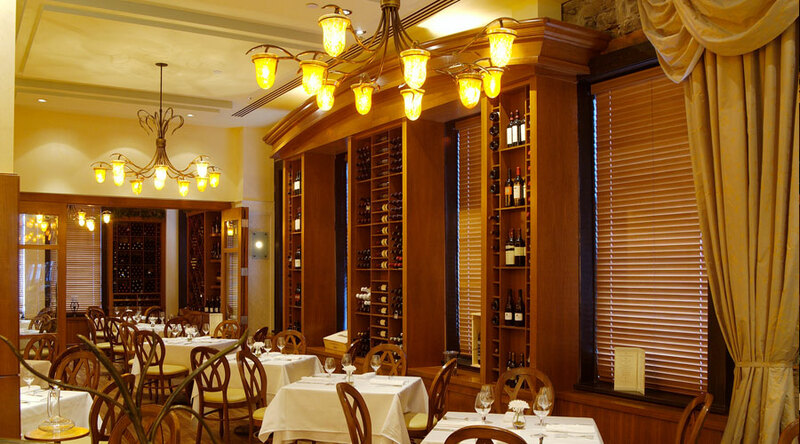 The restaurant had distinctive dining environments, an Oyster Bar, Fine Dining Room, Red and White Wine Rooms, and rooftop banquet room. The finishes in these rooms support the differences in the food and ambiance – and the lighting design had to support the desired dining experiences in each of these spaces. 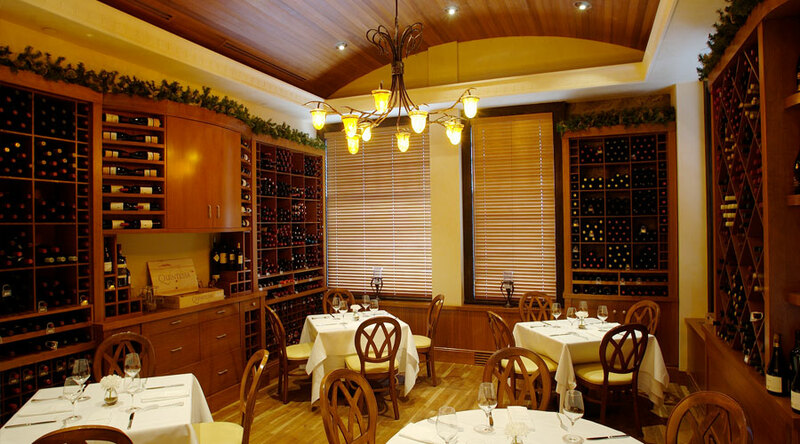 The lighting objectives were realized, and if you spend time in the restaurant you will experience this realization. The Oyster Bar is loud and raucous for the fish-and-chips crowd and the Fine Dining and Wine Rooms are quiet and reserved as patrons enjoy the originality of the menu. 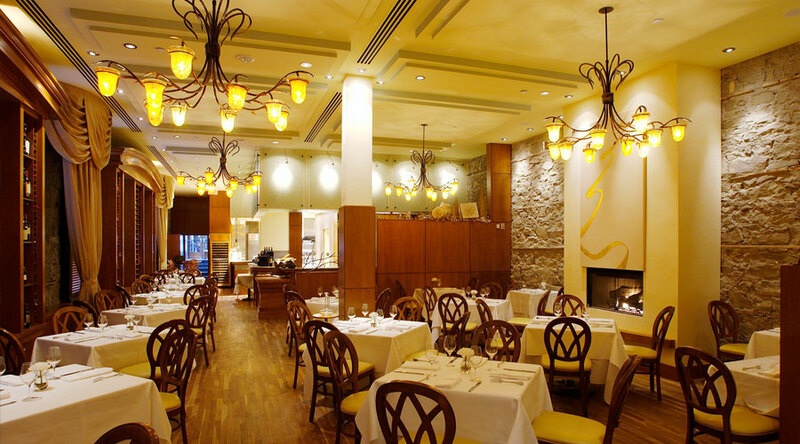 The lighting design at Catch Restaurant was the winner of an IES International Illumination Design Award of Merit. 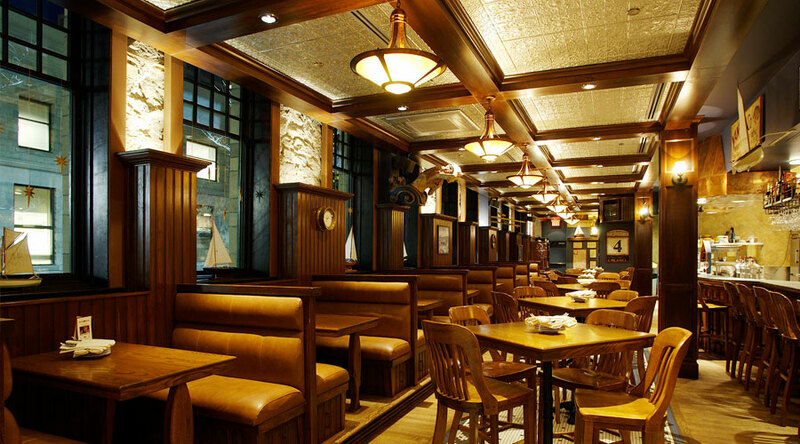 The lighting design team of LDI can frequently be seen dining with clients at the Oyster Bar. 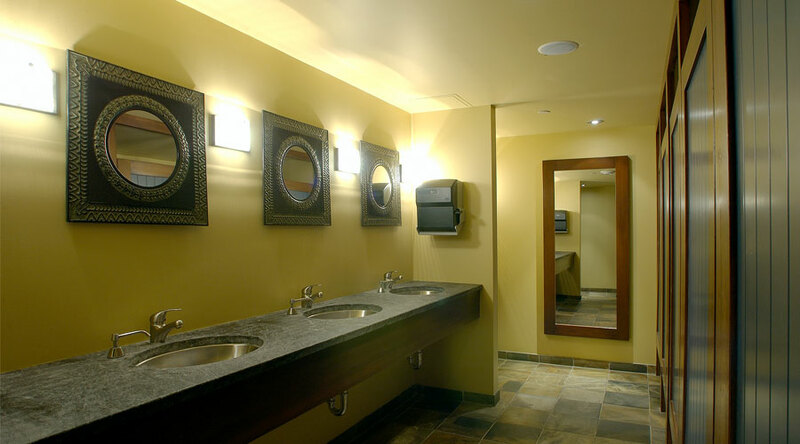 When beautiful spaces are realized through fantastic lighting – you want to spend time in those spaces.